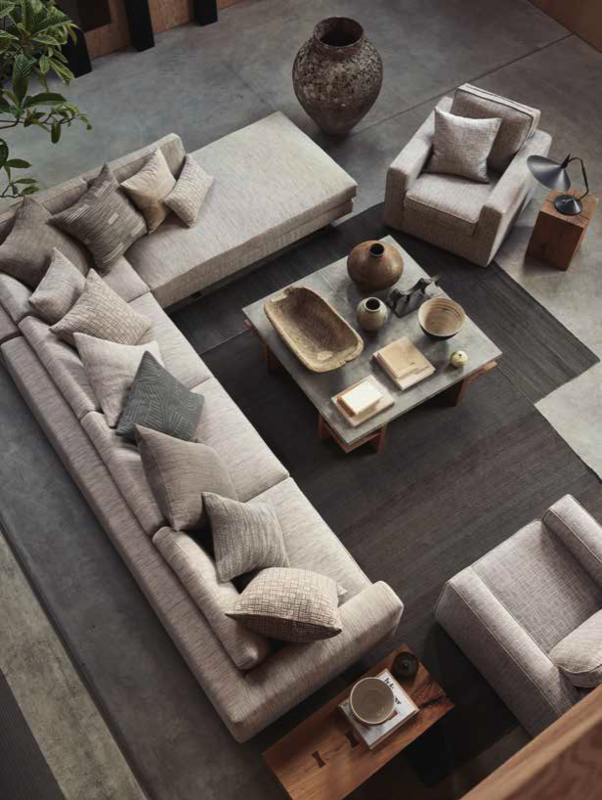 MONTAGEThis collection has been created to achieve that uniquely relaxed, lived-in feel, combining a series of strong and original weaves and prints, in different yarns, weights and styles. 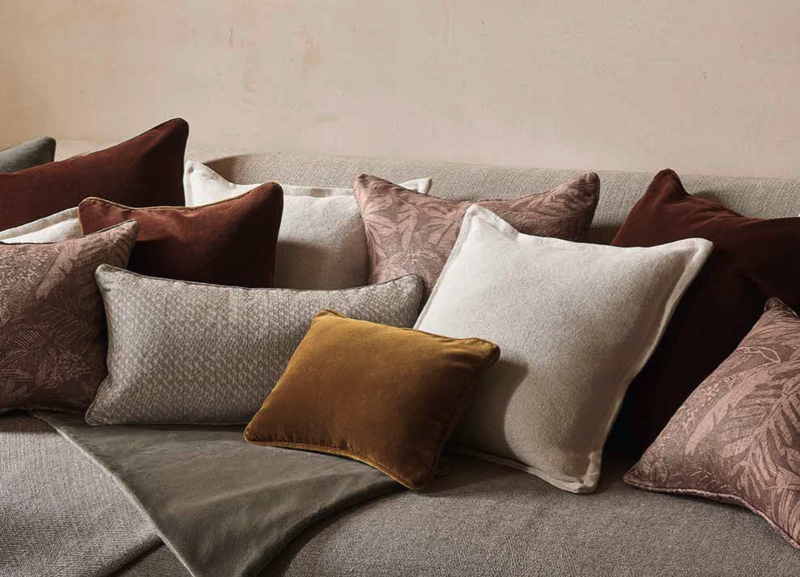 LOOMThe tawny shade of a pumpkin, the blue of an Atlantic wave, the colours of sisal, string and oak bark, the green of a silvery willow leaf: all the shades of these plain linens take their cue from natural colours and work to perfection with the many neutrals at the core of the Mark Alexander palette. 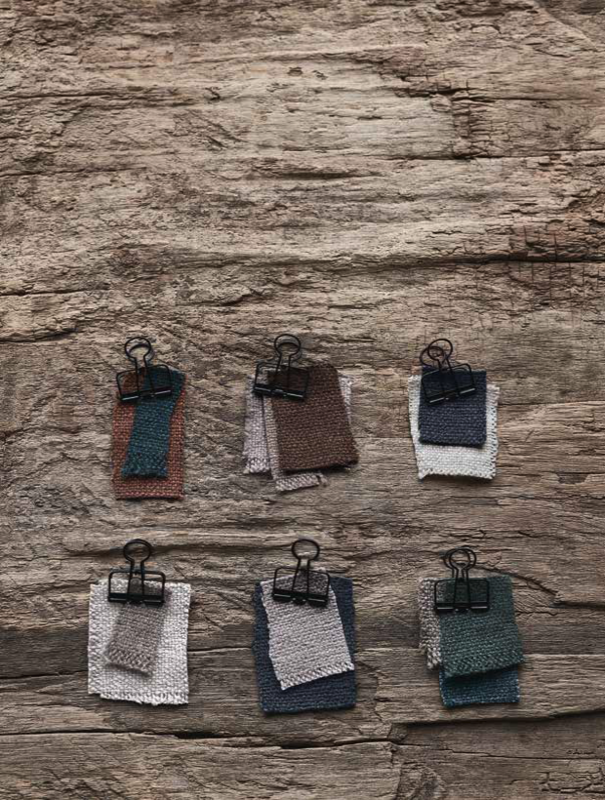 HANDCRAFTED MODERNEclectic influences meld in this collection, a harmonious interplay between linen and wool in texturalcombinations which, in these interiors, appear delightfully haphazard. 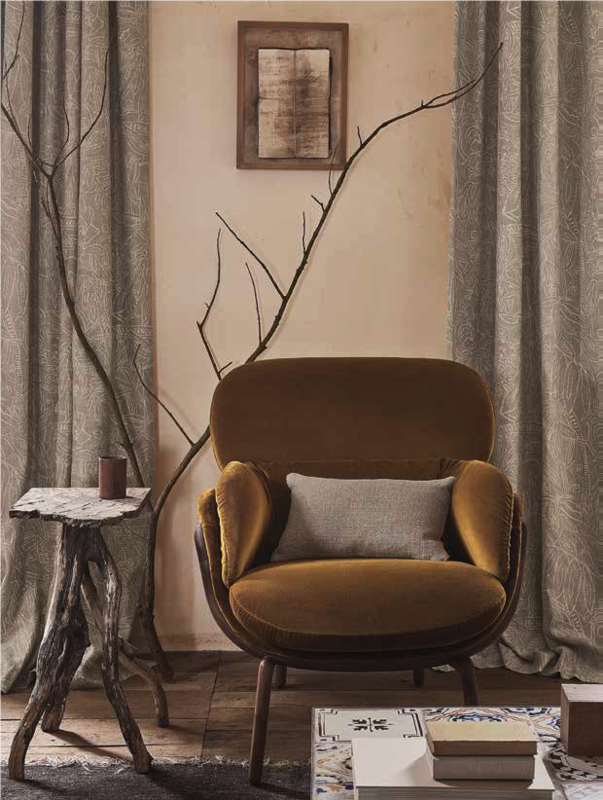 EPOQUEThe deep and dense pile of this sensuous cotton velvet, with its soft and natural sheen, brings a certain glamour to complement the weaves and prints in the Mark Alexander family. 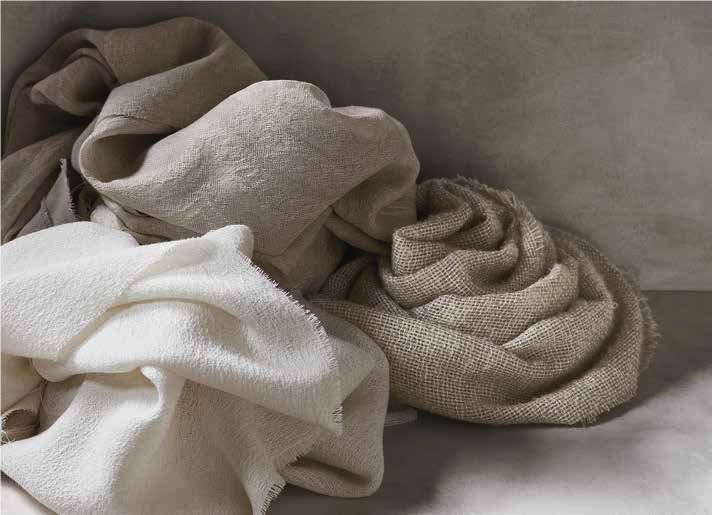 ADAGIOMisty shades in the finest sheers and semi-sheers, some of them in a wide width, are created from soft luxury yarns – cashmere, mohair and couture-quality lambswool. 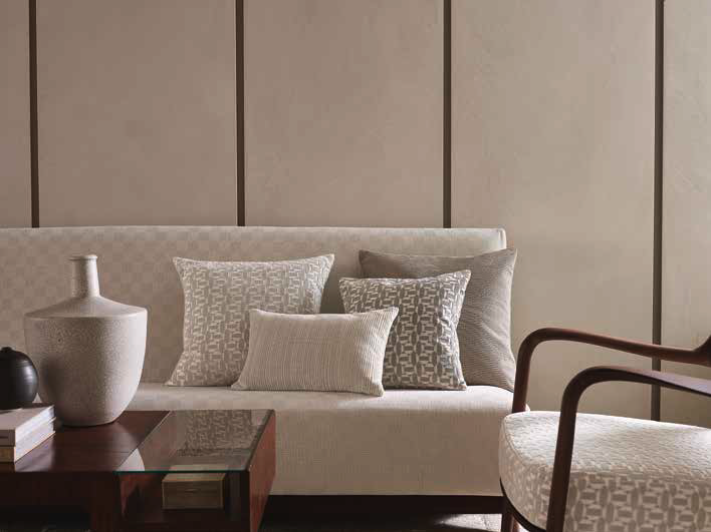 OUTL INEThis group of designs allude to Modernist simplicity where geometrics with an architectural flavour and stripes with a strié warp, are cut to a dense pile, with a contrasting counterpoint of tight loops, to make a restrained but very special covering for a modern sofa or chair.